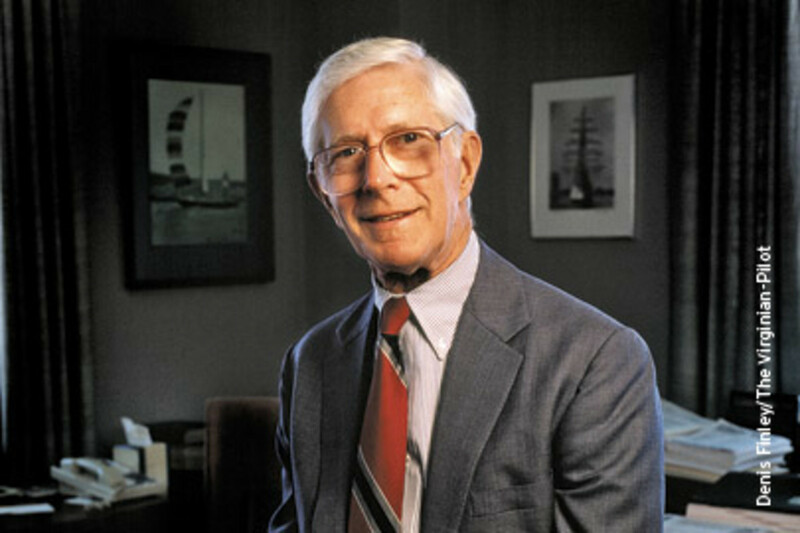 Frank Batten Sr. — a visionary and avid sailboat racer who built a media empire, pioneered cable television, and launched The Weather Channel while hewing to an ethic of exemplary business standards, community service and philanthropy — died in September in Norfolk, Va., after a long illness. He was 82. Batten was the retired chairman of Landmark Communications, one of the country’s largest privately held media companies. In 2008, Landmark sold The Weather Channel for more than $3 billion in a partial breakup of Landmark. Its successor, Landmark Media Enterprises, owns Dominion Enterprises, Soundings’ parent company. The Weather Channel nearly sank in its first year, but Batten believed in the product, says Nick Worth, who worked for Batten for 23 years in cable. 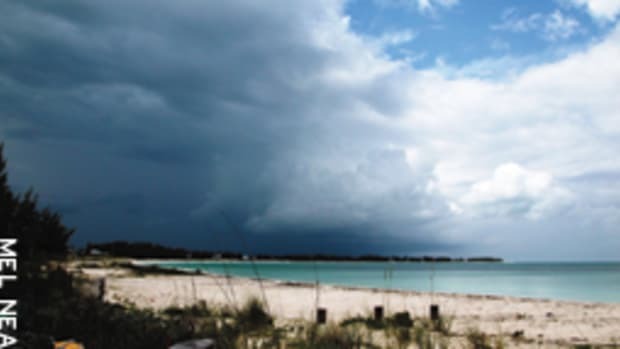 “We were pretty enthusiastic when we realized how many people relied on weather forecasts for their work and their safety and their recreation — boaters, travelers, skiers. But there were some birthing pains. We were worried to death for a while.” Today, The Weather Channel is seen in more than 98 million homes. In a video interview for the Harvard Business School, Batten says he became “kind of an amateur meteorologist” through his sailboat racing, which influenced his openness to the idea of a 24-hour cable channel devoted to weather. 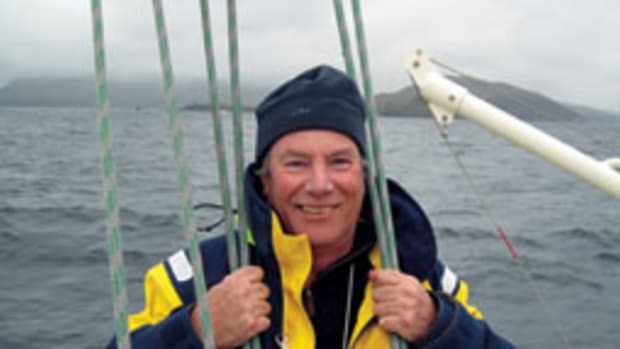 Batten owned a series of racing sailboats named Shadow: a Tartan 34 he raced on Chesapeake Bay, then a C&C Redline 41 — a “hot boat in its time,” says Thomas Hunnicutt, of Hampton, Va., who crewed for Batten in the mid-1970s — a Swan 44 and a Frers 46. Batten, who was “extremely competitive, just like he was in business,” competed in the Newport-Bermuda and Annapolis-Newport races, in the SORC, and in many Chesapeake Bay regattas, says Hunnicutt, who ran the Frers’ foredeck for Batten. He raced like he skippered The Weather Channel. “If something was going to get tough, he’d just get tougher,” Hunnicutt recalls. He was extremely organized and very focused when he raced. 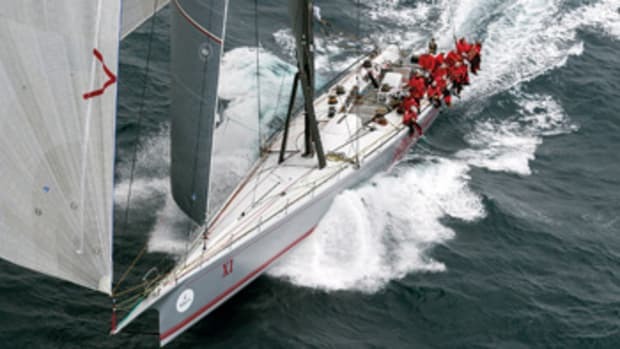 Hunnicutt remembers receiving in the mail a month before each race a 30- to 60-page briefing with the race and watch schedule, the local rules, man-overboard and abandon-ship instructions, and tables showing when to use different sails. “We had to read all this stuff,” Hunnicutt says. Batten’s rules for keeping the boat light were draconian. For example, crewmembers were expected to bring no more toothpaste than they needed for the duration of the race. “He’d say, ‘If you want to be a dandy in Bermuda, send your clothes with your wife or girlfriend,” Hunnicutt says. They both tell of racing against sailing icon Ted Turner. The America’s Cup skipper was a very tough competitor, but they “whupped him a couple of times,” Hunnicutt recalls. Batten’s uncle, Samuel L. Slover, who built a chain of newspapers in Virginia in the early 1900s, raised his nephew from age 1 after his father’s death and gave him his start in the newspaper business. After a stint in the U.S. Merchant Marine, Batten did his undergraduate work at the University of Virginia; interned at the now-defunct Ledger-Dispatch newspaper as a copy boy, reporter and ad salesman; earned an MBA from Harvard in 1952; and was named publisher of The Virginian-Pilot and the Ledger-Dispatch two years later at the age of 27. 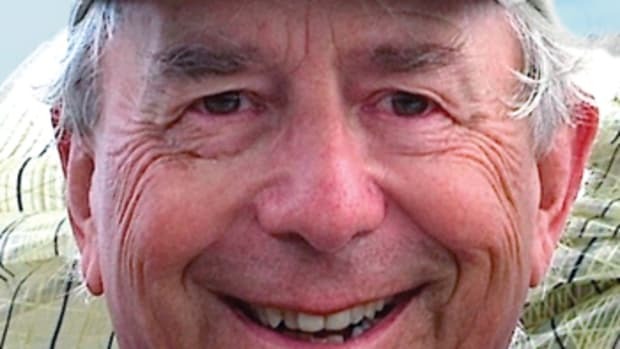 As publisher, he guided both newspapers in opposing school closures and “massive resistance” to court-ordered school desegregation in Virginia in its opinion columns. A series of editorials on the subject in The Virginian-Pilot won a 1960 Pulitzer Prize. Batten served as chairman of the Associated Press from 1982 to 1987, helping modernize the 163-year-old wire service and get it on the road to profitability. He was diagnosed with throat cancer in 1977, lost his larynx to surgery, and learned to breathe through a hole in his neck and talk without a voice box, accommodations he lived with for 32 years. Today, Landmark Media Enterprises is parent to nine daily newspapers and more than 100 other newspapers and specialty publications, television stations in Las Vegas and Nashville, Tenn., and Dominion Enterprises, which produces a national chain of classified-ad publications, as well as the marine titles and Web sites Soundings, Soundings Trade Only, PassageMaker, Nor’easter, Yacht Trader, Boat Trader, Trader Online, Boats.com and YachtWorld.com. Batten, who died Sept. 10, is survived by his wife, Jean, and three children, including Frank Batten Jr., who became chairman of Landmark upon his father’s retirement in 1998. Batten likely will be remembered as much for his philanthropy as for his business successes. He donated more than $450 million to educational institutions and other non-profits in recent years: the University of Virginia, the Culver Academies, the Norfolk library system, the Virginia Zoo, Old Dominion University, Virginia Wesleyan College, Hollins College, and Harvard Business School, among others. He helped build a sailing center for Old Dominion’s championship sailing team and donated $2 million to the Mariners’ Museum in Newport News, Va., for its USS Monitor Center. 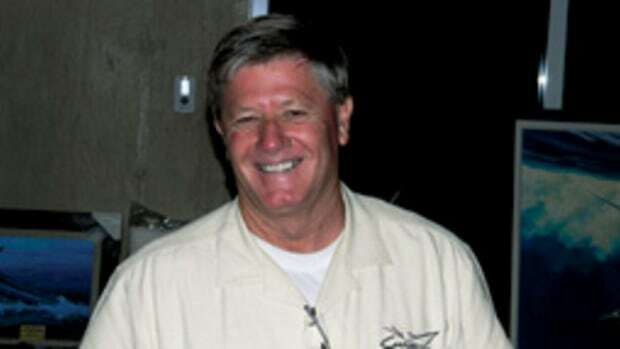 During the latter years of his life, Batten enjoyed cruising Chesapeake Bay in a Hinckley Picnic Boat, which he kept at a dock behind his home, says Worth. “He was the finest man I’ve ever known,” he says.